A Halloween party is supposed to be a terrifying event where your decorations are sure to send shivers down the spines of both adults and little ones. It’s the time of the year where you can go all out with your decoration skills! After deciding on the food and drinks for your guests, you can’t forget the lighting. Light helps to set the mood, enhancing the mysterious and frightening aura of Halloween, when the veil between the dead and the living is most fragile. Whether you’re a fan of carving pumpkins or you prefer to buy a plastic one, Jack O’Lanterns have been a Halloween tradition for many decades now. If you love carving them, getting a spooky template will help you get accurate designs. With the appropriate tools, you can carve the simplest to the most intricate design, ensuring that your home reflects the scary feeling of the season. If you’re concerned with using a real candle, you can buy battery powered candles to light the inside of your Jack O’Lantern. It’ll provide you with the same spooky glow, but give you peace of mind that your home won’t accidently catch fire. Easy to do, silhouettes give your windows an extra spine-chilling vibe. All you need is strong, black paper and a creative idea. If you need extra inspiration, you can get a terrifying image template from the internet. Whether you want to draw a zombie or a menacing murdered wielding a knife, all you need to do is trace around the image and cut it out. Tape the silhouette to your window and add a white sheet behind it. The final step? Add a light behind it and you have the perfect light up decoration to scare your neighbours. Don’t forget to use a battery powered light instead of a real candle! 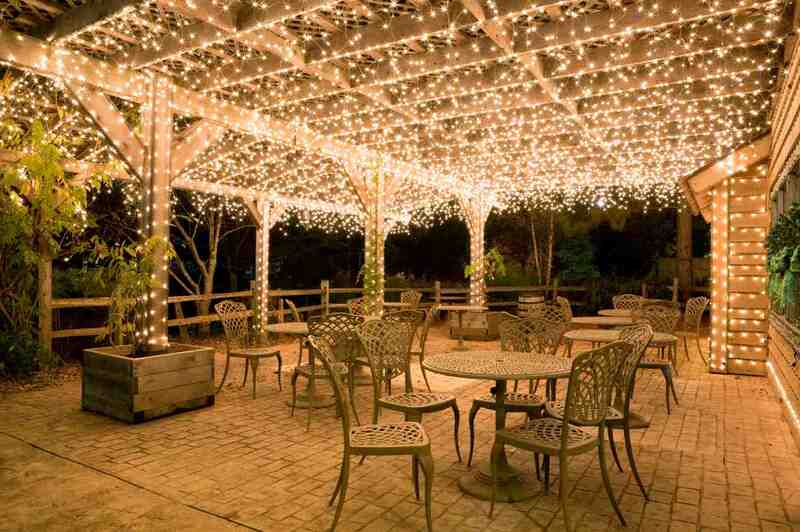 If you’re planning a Halloween party, you will need different types of lighting to create the right ambience. You can tape cut-outs of bats, spiders, and other creepy-crawlies to the inside of your lamps and change the lightbulb colours for an unsettling atmosphere. If you want to add a bit more mystery to the night, fairy lights transform your ceiling and transport your guests into a magical realm. They surely won’t forget the sparkling lights above their heads as they enjoy their Halloween night. The outside of your home is just as important to decorate as the inside, and you can create a truly creepy atmosphere. Save empty paper towel tubes and choose where you want to place them. All you need to do is cut eye shapes on them. Vary the designs to have the feeling of many terrifying beings in your garden! Place a battery powered light inside the paper towel tubes and tape them together to make sure they don’t move. Light them up at night and you’re ready to frighten your loved ones! 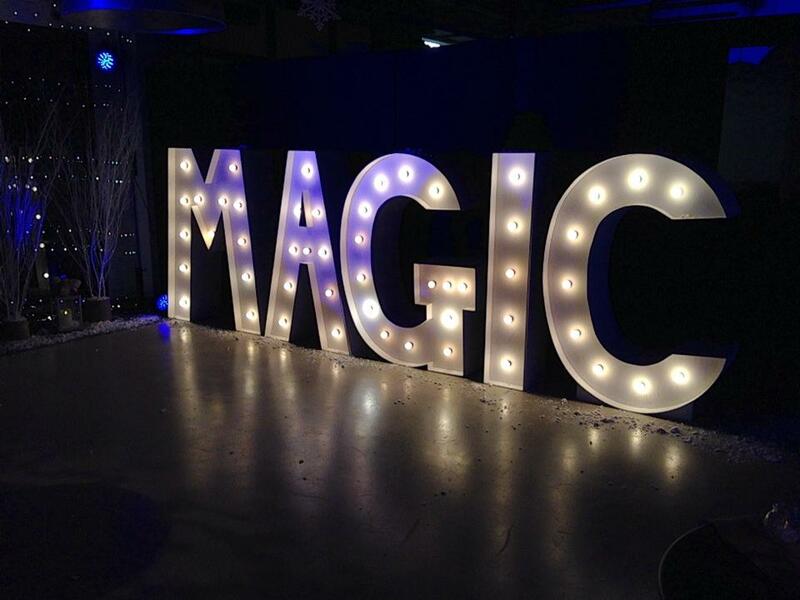 For that extra special touch to your Halloween night, there’s nothing like light up letters for a memorable event! With a wide range of letters available, you can easily form any word you need – and you can add shapes, too! Planning your hair-raising party has never been easier; all you need is a theme and you’re about to have the best Halloween party possible! 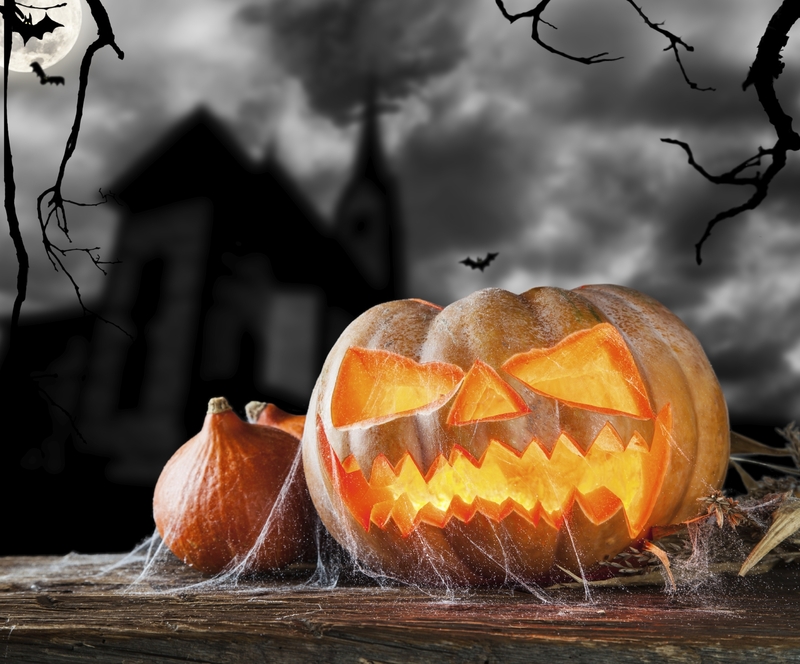 If you want an extra bit of help to add a magical touch to Halloween, here at Monitor Lighting we provide lighting hire in Sussex. Just get in touch with our team by giving us a call on 07950 729708. Our friendly team is always happy to answer any query you might have! Alternatively, you can follow us on Facebook and Twitter to see our latest news and updates.